We were recently asked by some of our customers about the variety of different kinds of Canadian Passports that exist. Regular Passport (navy cover) These documents are issued to citizens for occasional travel, such as vacations and business trips. The maximum validity period varies with the age of the passport holder. Children (3 to 15 years of age) and adults (16 years of age or over) are issued passports with a maximum validity of 5 years; children (under 3 years of age) are issued passports valid for a maximum of 3 years. Frequent Traveller Passport (navy cover) These are issued to frequent travellers, such as business people. These passports cost slightly more than a regular passport, containing 48 pages; $5 more for adults, $2 for children. The validity period for this passport is the same as for the regular passport. Temporary Passport (white cover) These are issued on behalf of Passport Canada to Canadians with an urgent and proven need for an interim passport. 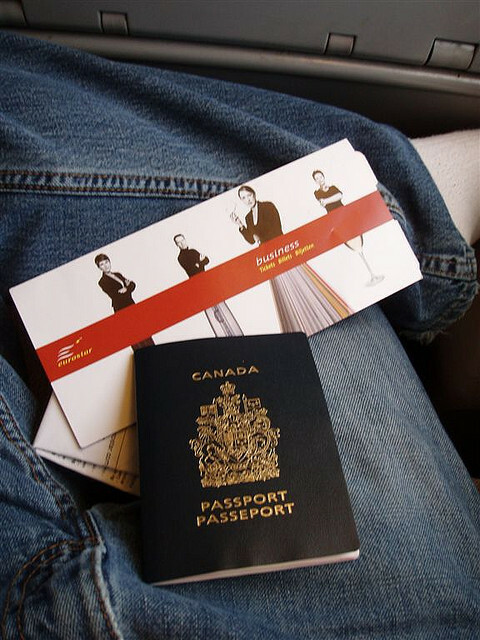 Emergency Passport (1 page) Emergency passports are one-use documents issued to Canadians for direct return to Canada or to another Canadian mission where full passport services may be obtained. Special Passport (green cover) These are issued to people representing the Canadian government on official business. Diplomatic Passport (maroon cover) These are issued to Canadian diplomats, top ranking government officials (including lieutenant governors, diplomatic couriers, and private citizens nominated as official diplomatic delegates. How can i check the validity of a Canadian passport. I suspect that I an being targeted for a scam.